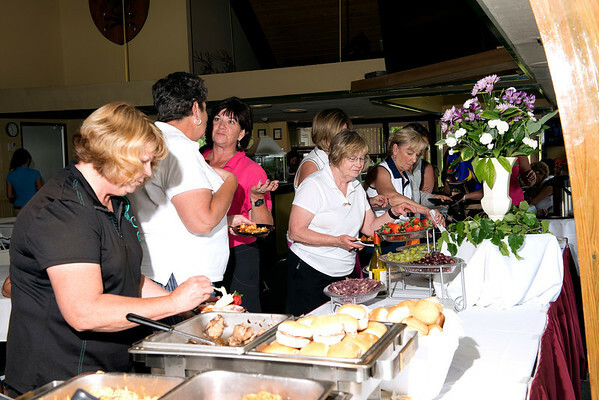 Following play, a Player Reception was held in the dining room where Kathy Glennon, MWGA Scholarship Director thanked the members for their continued support of the scholarship program and announced that the recipients this year were outstanding. She also spoke to the ladies in the room about all the hard work that Peg Eddy and her course rating teams were doing this year and that they lacked updated stimpmeters to do their work efficiently. She also asked that if anyone had any laser finders that they no longer used, to please donate it to the course raters. The competitors responded immediately with $560.00 in donations which were gratefully accepted by Peg Eddy on behalf of her teams and will go to the purchase of the stimpmeters.